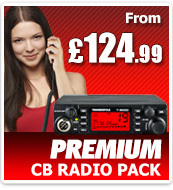 Ideal for anyone new to CB, a basic radio and everything you need to get started. 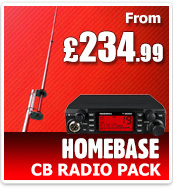 Ideal for you if you want a superior CB with advanced features and a vivid multi-colour LCD screen. 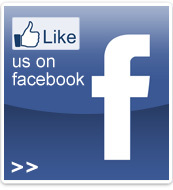 Ideal if you need a robust, user friendly CB to enhance your off-road experience. 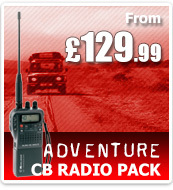 Ideal for overseas adventures where inconspicuous communication is required. 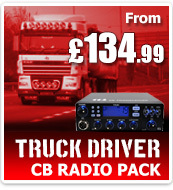 Ideal for Truck Drivers or any vehicle with a 24v DC supply. Includes a radio that can be used throughout Europe. Complete CB Base Station Set-up featuring the Thunderpole T-2000, Thunderpole 1/2 Wave, SWR Meter, PSU plus Fixtures & Fittings. 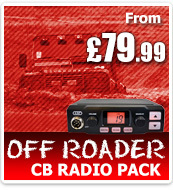 Thunderpole CB Radio kits, Intek CB Radio Kits, Truck Driver CB Radio Kits, Tractor CB Radio Kits, Handheld CB Radio kits, Homebase CB Radio Kits, and other Vehicle CB Radio Kits. 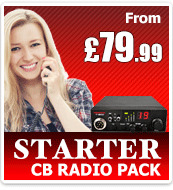 All kits contain: CB Radio, CB Antenna, and all leads and fittings.